dust collection with the suction power to handle multiple tools, this product is an ideal solution. 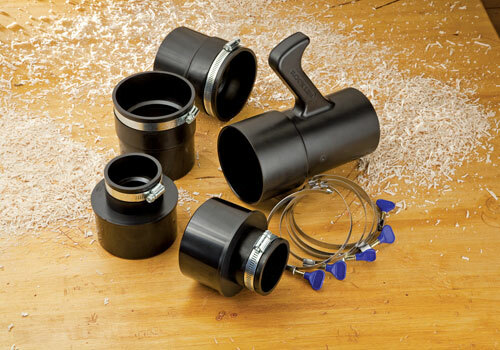 Tool ports feature a 100mm (4in) handle/hose port and either a 63mm (2 1/2in) or 100mm (4in) tool port (two of each), making it possible to include a wider variety of power tools in dust collection operations. efficiency of moving dust collection from one tool to the next, quickly and easily throughout any workshop.